Let’s go through and have a look at how the ideas works in more detail. The core idea behind One Minute Goal Setting is very simple. You must tell your staff what you want them to achieve and what you want them to do. It is obvious but surveys show that many employees are uncertain of what expected of them, what their responsibilities are and what their goals and objectives are. Why don’t you try a little experiment. Pick two members of your team – a star and an average performer. Ask them to write down what their main goals for their job are, what their responsibilities and accountabilities are and what are the important tasks they do that contribute to those goals. Then do the exercise yourself for their roles and compare the lists. There’s a good chance that the two lists for your high performer are much more similar than the lists for your average performer. How can anyone do a good job if they don’t know what doing a good job looks like? Employees could ask but they don’t want to look stupid in front of the boss or their workmates. Instead they will try to find their own answers or lose enthusiasm because they don’t understand the rules of the game you’ve asked them to play. As the business owner and boss, it is your responsibility to clarify the goals of each and every person who reports directly to you and to approve the goals for the employees at the next level down. Do you know a simple, low cost way to improve the morale of your team of employees and help them to do a better job? Give them a one minute praising. Tell them that they are doing a great job but only when you mean it. Employees know when they are doing nothing special and you will come across as false and insincere. Virtually everyone likes to be recognised and especially if the person has made a special effort to overcome problems or maintains impeccably high standards. How do you know when to give people praise? You have to keep your eyes open and catch them doing something right. When you see something good, the right behaviour or excellent results then tell the person, congratulate them and thank them for their efforts. A one minute praising shows that you care about performance and it helps to make sure that they care as well. Sometimes you will see more problems than things going right. That’s where the third leg of the One Minute Manager system comes in. Most staff will hear an angry rant from their boss from time to time although there are some bosses who won’t say anything and just store things up until the formal appraisal. By then it’s water off a duck’s back. Because they don’t have clear responsibilities and duties and because they don’t receive one minute praisings, they assume that criticism is the way bosses act. That’s no way to manage. The One Minute Manager recognises that there are better ways and that people have to learn from their mistakes or unsuitable behaviour. It can only happen if people are told about it quickly and in a way that encourages them to learn and do better next time. Even with One Minute Reprimands, you don’t rush to criticise. First you have to make sure the person knows the goal and knows how to do the work. If they don’t, they need reminding of the goal and training rather than criticism. If you employ staff then your responsibility is simple. To get the highest and best performance out of each member of your team that they can deliver and to manage the team so that the overall performance is excellent. The One Minute Manager is a remarkably simple system to learn and apply and will help you improve employee performance. It will make your feel that you are a better manager because you have become proactive rather than reactive. You are setting goals and providing quick feedback on performance – whether good or bad. It will make your staff feel better about their work. Yes even those that receive a few One Minute Reprimands. They will finally know what is expected of them and through the reinforcement of praisings and reprimands they begin to understand their role and the consequences. Each of these three ideas – One Minute Goal Setting, One Minute Praisings and One Minute Reprimands are covered in more detail in the book and there are specific techniques for making each of them work effectively. To find out more you will have to read the One Minute Manager book by Ken Blanchard and Spencer Johnson but I am sure that you will be glad that you did. I rate the One Minute Manager as a five star book – a must buy. 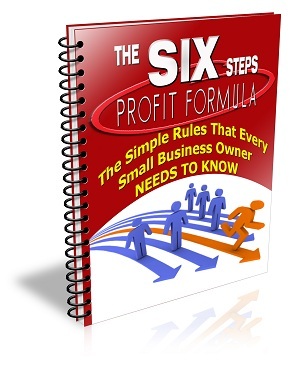 A follow-up book gives more tips on how to apply the One Minute Manager system. The authors, Ken Blanchard and Spencer Johnson have taken the format of the One Minute manager parable and applied it to many different business issues. Most are worth reading because they communicate the core concepts so well. In this short video Ken Blanchard helps to reinforce the One Minute Manager message by explaining that it is an extra minute, over and above what you do to make sure objectives are clear, to recognise good performance and to correct poor performance.